The SEC fined one broker for his role in an annuity scam involving the terminally ill and another for stealing from blind and elderly clients. One broker sold annuities to third parties as short-term investments, betting the annuitants would die soon. The Securities and Exchange Commission Thursday announced that it had fined one broker for his role in an annuity scam targeting the terminally ill and another for stealing from blind and elderly clients. The architect of a variable annuities scheme designed to profit from the imminent deaths of terminally ill agreed Thursday to settle charges with the SEC and pay more than $850,000. The same day, a broker in Roanoke, Virginia was charged with defrauding elderly customers, including some who are legally blind, by stealing their funds for her personal use and falsifying their account statements to cover up her fraud. According to the SEC’s complaint filed in U.S. District Court for the Western District of Virginia, Donna Jessee Tucker siphoned $730,289 from elderly customers and used the money to pay for such personal expenses as vacations, vehicles, clothes and a country club membership. The SEC’s investigation of Tucker resulted from a broker-dealer examination of the firm where Tucker worked that was conducted by the SEC’s Philadelphia Regional Office. In the VA scam, the SEC’s Enforcement Division previously charged Michael A. Horowitz and several others he recruited into his scheme to identify terminally ill patients in nursing homes and hospice care in Southern California and Chicago. Horowitz, a broker who lives in Los Angeles, sold variable annuities contracts with death benefit and bonus credit features to wealthy investors, and designated the terminally ill patients as annuitants whose death would trigger a benefit payout. Anticipating the patients would soon die, Horowitz marketed these annuities as opportunities for investors to reap short-term investment gains. The SEC’s Enforcement Division alleged that Horowitz enlisted another broker, Moshe Marc Cohen of Brooklyn, N.Y., and they each deceived their own brokerage firms to obtain the approvals they needed to sell the annuities and generate hefty sales commissions. They falsified various broker-dealer forms used by firms to conduct investment suitability reviews, causing some insurance companies to unwittingly issue variable annuities they may not have sold otherwise, the SEC said. Horowitz also agreed to admit wrongdoing. Among the admissions he made in the settlement was that he knew that if the “stranger annuitants” did not die within a matter of months, his customers would be locked into unsuitable, highly illiquid long-term investment vehicles that they would be able to exit only by paying substantial surrender charges. He also submitted at least 14 trade tickets containing materially false statements concerning how long his clients intended to hold their annuities while knowing that his broker-dealer would not have approved his annuities sales if he had provided truthful timing information concerning his customers’ intention to use the annuities as short-term investment vehicles. In the case against Tucker, the SEC says she ensured that her customers received their monthly account statements electronically, knowing that they were unable or unwilling to access their statements in that format. The SEC further alleges that Tucker engaged in unauthorized trading and other financial transactions while making misrepresentations to customers about their investment accounts and forging brokerage, banking and other documents. “Tucker befriended her customers and gained their trust, only to be stealing their money behind their backs and giving them phony documents to hide it,” said Sharon Binger, director of the SEC’s Philadelphia office, in a statement. Tucker has agreed to settle the SEC’s charges and disgorge the $730,289 in ill-gotten gains either in the criminal case or the civil case. She consented to the entry of an order permanently enjoining her from violating Section 17(a) of the Securities Act of 1933 as well as Section 10(b) of the Securities Exchange Act of 1934 and Rule 10b-5. The settlement is subject to court approval. 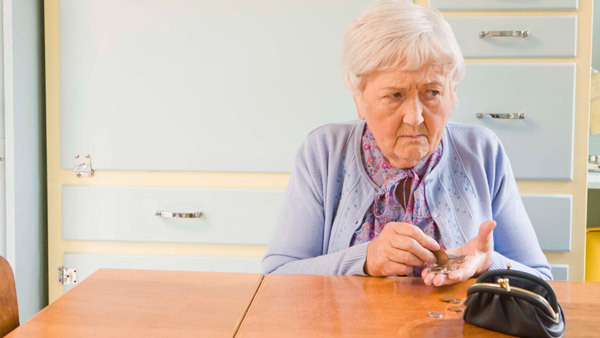 Check out SEC Busts Variable Annuity Scam Targeting Terminally Ill on ThinkAdvisor.